Scroop, James Inglis, Ben Van Ryt and Chace Karpenko. 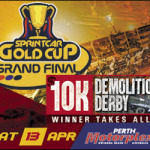 And this Saturday night more opportunities beckon when the 37th annual Scardifields Smash Repairs King of Wings is held at the Perth Motorplex. 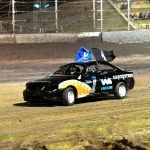 A stellar field of nearly 60 sprintcars has nominated across the three different sprintcar divisions. For some drivers it will be another opportunity to enjoy solid early-season form – particularly in the Maddington Toyota-backed series. Brad Maiolo has taken a fourth and an eighth (where he played his Joker in the second round to double his feature race points). Jamie Maiolo has enjoyed a win and a fifth. Mitchell Wormall has posted a pair of sixths in the two features so far. James Inglis started with a seventh and backed this up with a win. Ryan Lancaster opened his account with a ninth and finished hard at the last show for a fourth. Jason Pryde started with a 10th and improved to a seventh in round two. Chace Karpenko has had a mixed start with a DNF and then a third. And then there are the drivers who have showed plenty and delivered little. 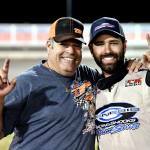 Defending series champion Jason Kendrick has posted two costly DNFs. The same goes with Kaiden Manders who has also failed to finish on both occasions. This week Andrew Priolo, Jamie Oldfield and Rob Mould make their debuts for the season. AJ Nash is expected back after withdrawing before round two with engine damage. is the place to be this Saturday night. Book your tickets online and we will see you trackside!